The holiday season is upon us, which means it is time for fun, family and lots of great presents! It also means that it’s a time for shoplifters, thieves and pickpockets to try and cause trouble. Yes, it’s true, some people just don’t have the holiday spirit, but that doesn’t mean it has to ruin your time. You can catch any potential thieves or just keep your own piece of mind by installing a video surveillance system around your home or business. 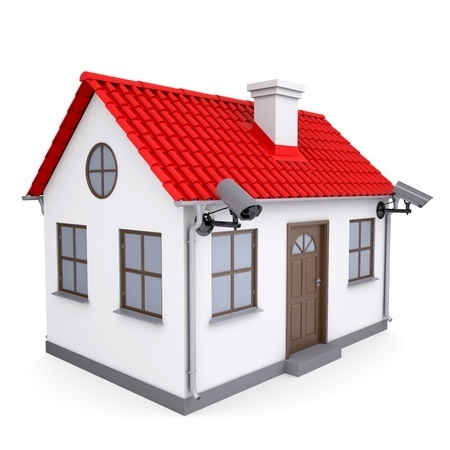 In most cases, it is a good idea to have a few security cameras mounted around your home. It is a good way to keep tabs on what is occurring at home during the day while you’re at work and in the middle of the night while you sleep. The need for surveillance doubles during the holiday season. We have all heard the many horror stories of random strangers coming to steal packages off doorsteps or package delivery employees throwing around fragile boxes. In a home without cameras, these crimes would go unnoticed, but having a surveillance system installed allows you to see these issues and do something about them. The best part is that with many modern systems, you don’t even have to be in the home to know when something untoward is occurring. There are a number of available security programs and mobile apps that allow you to check in on your home from afar by sending alerts to your cellphone if the cameras detect any unwanted movement. This can be incredibly useful if you plan to go away for the holidays. Much like home security, businesses may even have more to gain by having a well-planned video surveillance system at their property. With businesses, you want cameras placed outdoors for many of the same reasons you would at a residence, but you may also want some added security indoors as well. This can allow you to keep an eye on retail floors and cash registers, giving you video of anyone who may be trying to steal from your inventory or rob your checkout lines. When it comes to securing your residence or business, NYCONN Security Systems is your one-stop shop. We stock all of the necessary equipment, from the cameras you need to the software that will make securing your home or business a snap. Don’t leave anything to chance: secure your home today and focus on what really matters this holiday season. Learn more about your video surveillance system options by calling us today at either our New York or Connecticut location.